While it may have seemed like summer was never going to end, we now have to face the truth. The days are getting shorter, and the sleeves are getting longer. Winter is slowly creeping in. With that in mind, we’ve put together a list of ways to prepare your home for the winter season and save money. Have you ever sat in your home comfortably minding your own business, when in comes a draft that leaves you chilled to the bone? It’s unpleasant to say the least. Single glazed windows often let in drafts due to lack of insulation, meaning heat is also lost through single glazing. Double or, even better, triple glazing can help prevent heat from escaping and keep drafts out, thanks to superior insulation between the glass panes. According to the Energy Saving Trust, installing double glazing in your home could save you on average between £80 and £100 per year on your energy bills, with A rated windows and above saving even more. 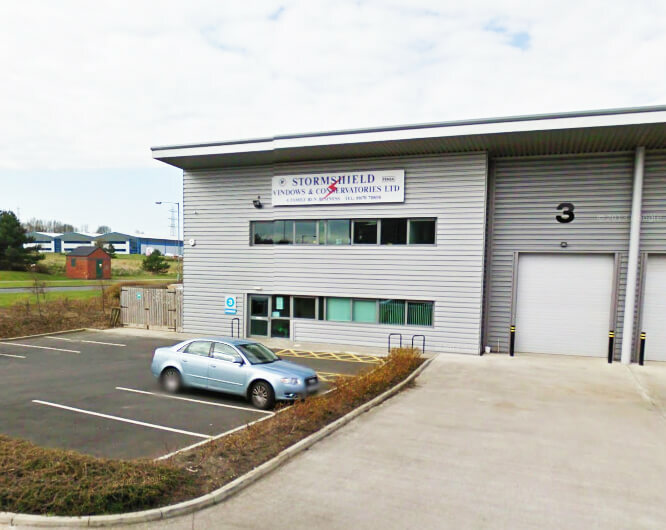 For double glazing in Newcastle and Cramlington, choose Stormshield for a high standard, reliable glazing service. Call us on 01670 710050. 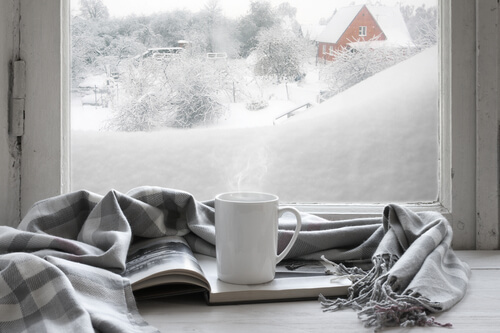 Outdated windows or doors might be to blame for making your house cold in the winter as worn seals or damaged mechanisms mean they can’t function as well and drafts can get in. If your windows or doors need replacing, we recommend using only premium quality to ensure your home is properly insulated. At Stormshield, our windows and doors are secure, high performing and come in a range of styles. Visit our showroom to see some examples of the doors and windows we supply. For excellent quality doors and windows in Newcastle, with full installation that is quick and efficient, contact us today. If you sometimes feel a draught coming from your windows, first of all, we definitely recommend investing in double glazing or replacement windows to stop drafts coming in at all. 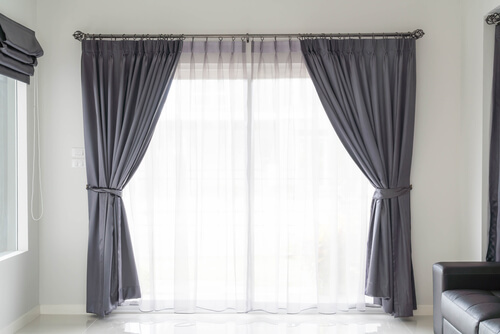 However, for a temporary solution, you could try investing in a pair of thick curtains and keeping them drawn when you are at home in the evening, helping to trap heat and keep the room warmer as well as protecting you from those chilly drafts. It may be that your home is not properly insulated, causing heat to be lost and cold air from outside to come in. Common areas where heat is lost include the roof and cavity walls. Installing loft or cavity wall insulation can be extremely effective in keeping your home warm and reducing your energy bills. While not cheap, the amount of money you could save on heating bills over the years will more than make up for it. As winter approaches, it might be time for a little Feng Shui around your home. Many homes will place large furniture such as sofas or armchairs in front of the radiator in the living room. This blocks the heat coming from the radiator, meaning that the rest of the room will not be as warm as that small gap behind the sofa. 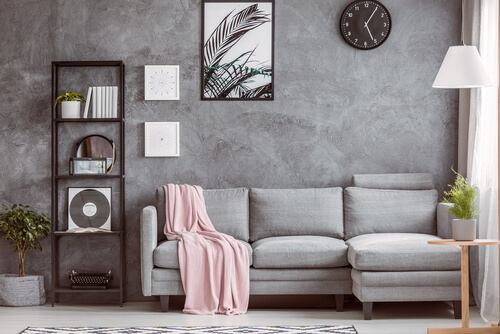 Maximise the use of your radiator by moving any big pieces of furniture out of the way to allow the heat to reach the whole room. For those freezing nights when your duvet, fuzzy socks and a hot water bottle just isn’t doing the trick, consider investing in an electric blanket. Electric blankets have been around for many years, but more recently advanced technology has made them more comfortable and safer to use. You can opt for one that goes over the top of your sheet or duvet, or one that goes under your bottom sheet to keep you feeling toasty all night long. Conservatories are usually no-go areas in the winter time, due to most being far too cold to spend significant amounts of time in. Conservatories with glass or polycarbonate roofs are inefficient when it comes to trapping heat, meaning a lot of heat is lost through your conservatory. By replacing your existing conservatory roof with a solid roof, you can save money on your heating bills and be able to enjoy your conservatory space even on the coldest of days. Solid conservatory roofs like the Guardian Roof are fully insulated, making them the ideal solution to chilly conservatories. Find out about the Guardian Roof in Newcastle by speaking to a member of our team or get a free quote on our website. Hive, Worcester Wave, Nest – these smart thermostats are a game changer when it comes to heating your home, allowing you to programme when your heating goes on and off as well as being able to change it remotely via your smartphone. So, if you’ve forgotten to lower the thermostat when you’ve left the house for the day, no problem! Research has suggested that by installing a smart thermostat, you could be making savings of up to 40% on your energy bills. And, even more brilliant, no more walking into a cold house when you can remotely turn up the thermostat when you are on your way home. Perfect! There you have it. Keep these tips in mind and you’ll sail through winter, warm and cosy at home until the sun reappears and it’s time to dust off the sunhats and flip-flops again.